The video that started it all.. After finally learning how to use Adobe Premiere, I wanted to make a video to my all time favorite Japanese song from Rockman X4 (Megaman X4 in the US). I tried my best to match the scenes from the Rockman X4 intro with the available footage I had at the time. 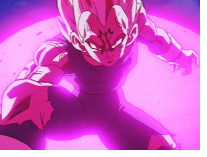 This video focuses mostly on Vegeta and his Father in their struggle against Freeza. Changes: Better timing, scene selection, pacing, removal of stray frames and lip flap. Length of the video still remains the relatively the same as the original. In the fall of 1999, I became a big fan of Neon Genesis Evangelion and wanted to do a DBZ version of the intro. This became the result. Changes: Had to change the opening shot since there was only one version of the textless Cha-La Opening on the JP Dragon Boxes. Also removed the Movie 12 footage and replaced it with more of the textless opening footage. My first attempt at a pointless action video using the Majin Vegeta vs. Goku and SSJ Goku vs. Freeza battles. I personally dislike this video, but the fans actually seemed to like it for some reason. Regardless of my opinion, the video had to be remade since it's part of the collection. My first attempt at a dramatic video. I remember hearing the song during the end credits of Evangelion Death and Rebirth and really wanted to edit with it. I was afraid that the song would be too dark to wortk with DBZ, but I was able to work with it as I was editing along. This video contains my favorite scene I ever put into a video (The scrolling shot of the wind blowing against Goku at 01:06 - 01:13). Changes: Simplified the timing from the remake. Minor scene and pacing improvements. The first Megumi Hayashibara video that I ever made and my favorite of the classic videos. 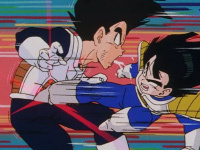 Mostly dedicated to Vegeta and Gohan's battles in the Freeza saga. Changes: Better timing and scene selection. Extended to use full song. The video I originally considered my worst has now been redone from scratch! 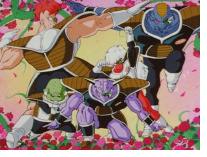 Dedicated to the entire Ginyu Force arc. One of the most popular videos in the site's history. 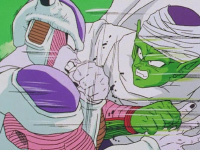 Dedicated to Piccolo's Battle with Freeza. Changes: Timing simplified from the remake with less beats hit to preserve the flow of the original. Annoying inserted voices removed leaving the lip flap in for nostalgia. Better scene selection and removed the voices from the remake. Should feel like a hybrid of the original and remake. Back in the day, while the Genki Dama was used in videos, nobody really made an entire video dedicated to the making of the Genki Dama. 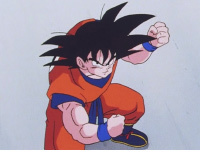 This video is dedicated to Goku gathering energy for the Genki Dama in his battle with Freeza. Changes: Simplified timing from the remake and small scene changes. I originally wanted to dedicate this video to Vegeta and Trunks, but lacked the footage at the time. 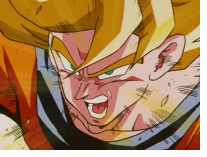 Now, with the entire series I added in the rest of the Buu saga fights I wasn't able to put in videos before. Changes: Better scene selection and pacing. First half of the video is identical to the original. 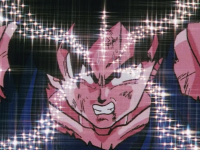 Extended to use the full song with more Buu saga footage. Another one of the videos I thought was pretty terrible has now been improved on. Dedicated to the first battle with Vegeta. 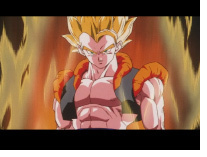 A video dedicated to Vegeta's painful training to become a Super Saiyan. Will his motivation to be the best push him over the edge at last? Changes: Better timing, scene selection, and pacing. Since the concept is too short for the length of the song, this video is pretty identical in length to it's original. 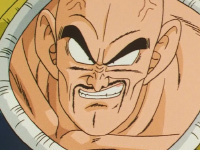 Dedicated to the ruthless and bald Saiyan giant himself, Nappa. Now extended with more scenes! Changes: Better timing and scene selection. Extended to use the full song. 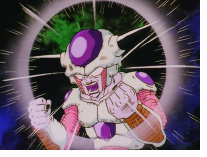 The evil Freeza transforms and begins to wreak havoc across all of Planet Namek. 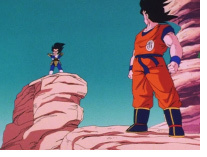 With no one powerful enough to defeat him, Freeza begins to choose who will die first, but who will it be? 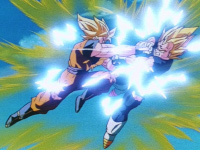 Original dedicated to Goku and Vegeta's battle with Android #19. 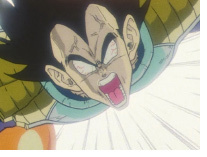 Now extended with the original Plan to Eradicate The Saiyans footage! Changes: Better timing and scene selection. Extended to use the full song. 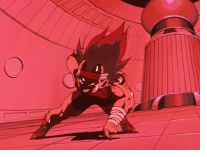 Where original video ends, new footage from Plan to Eradicate The Saiyans is added. 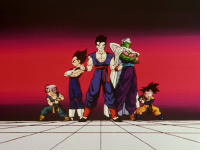 A music video with clips of Goku and Vegeta fighting Janemba, #19, and The Ginyu force. 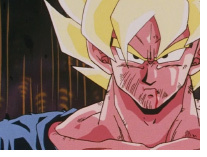 This one was made to show the success of Goku and Vegeta in battle no matter how hard it got. Changes: Better timing and scene selection. 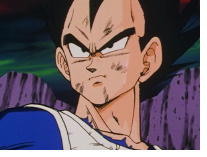 A music video of many of Vegeta's great and worst moments full of charging scenes, energy blasts, fist fights, you name it. Now with extended footage! Changes: Better timing and scene selection. Extended to use the full song and guest cameo by Appule! Changes: Simplified the timing from the remake. No more black strobe effects on the drumrolls.